The foreign currency was seized during an Income Tax raid at his residence in Srinagar's Hyderpora area in 2002. NEW DELHI: The Enforcement Directorate (ED) has summoned hardline Hurriyat Conference leader Syed Ali Shah Geelani to appear before it on December 18 for adjudication proceedings related to a foreign exchange violation case involving USD 10,000 "illegally" possessed by him in 2002. The central probe agency, early this year, issued a notice under various sections of the Foreign Exchange Management Act (FEMA) to the 87-year-old separatist leader based in Srinagar in Jammu and Kashmir. Geelani, who heads the hardline faction of the Hurriyat Conference, has been asked to either appear in person or through his legal representative before the agency in Srinagar on December 18. The adjudication notice has asked him to "explain or produce documents or evidences, as may be useful for or relevant to the subject matter of enquiry". The notice, issued by the Enforcement Assistant Director in Srinagar Deepak Chauhan, said if he failed to appear on the date, "adjudication proceedings shall proceed against the noticee (Geelani), exparte". Geelani can be penalised up to three times the amount contravened under the FEMA after these proceedings end. The ED took up the case after taking cognisance of the Income Tax report and issued summons to Geelani to appear before it in Srinagar in March this year. 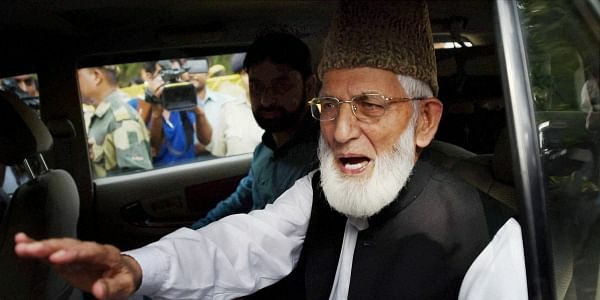 The agency earlier said that Geelani's counsel had submitted a written reply and "denied" the recovery of foreign currency from his residence and seizure. "Following further summons, his chartered accountant submitted the appeal documents confirming the recovery and seizure of foreign currency. However, he failed to furnish legitimate source for its acquisition and possession thus making himself liable for action under FEMA," an ED statement earlier said. Under the FEMA, foreign exchange dealings are regulated in India and the acquisition and possession of foreign exchange by resident Indians are required to be conducted in accordance with the general or special permission. "Therefore, he has been asked to show cause to the adjudicating officer under FEMA within 30 days as to why the recovered currency should not be confiscated and penalty imposed on him," the agency said.